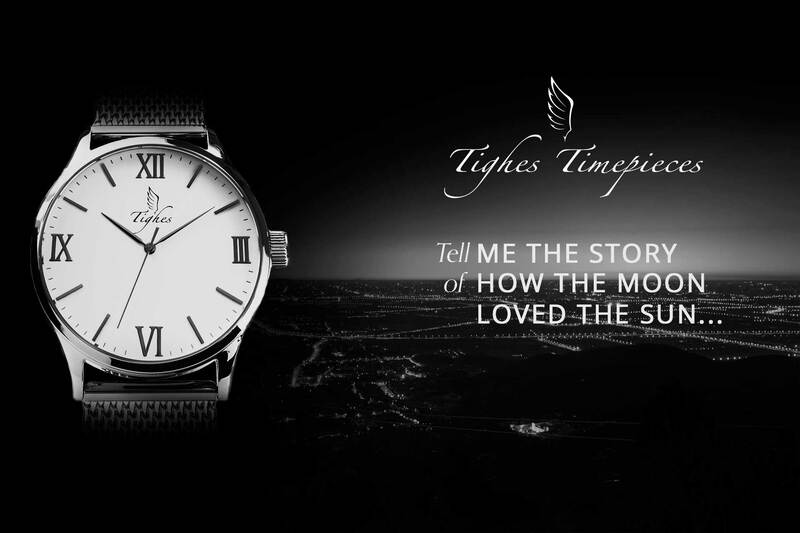 The story that inspired the Mahina & Ikala watches by Tighes Timepieces. This is a legend as old as time, it is a great love story of Mahina the Moon and his eternal devotion to Ikala, the Sun. It tells how early one spring morning, too long ago to remember, Mahina the Moon observed a breathtaking light rising in the distance. He gazed with wonder as the Sun, Ikala, stretched her brilliance across the Earth, bringing warmth and life to everything below. Despite wanting to stay and bask in Ikala’s glowing presence Mahina knew he could not deprive the Earth of her loving embrace. So, with a final glance, he disappeared from view. Ikala had seen Mahina many times and looked upon him with love but could not help but wonder why he left as she appeared from her slumber. Then one morning Ikala appeared and beheld Mahina directly in front of her, hiding the Earth from her view.